What? 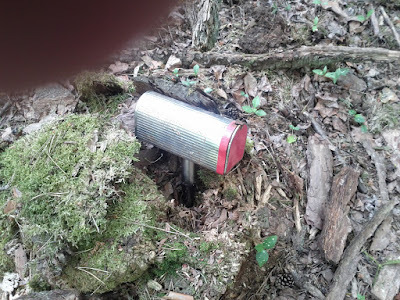 Yes, and it could be a geocache. Like this one. 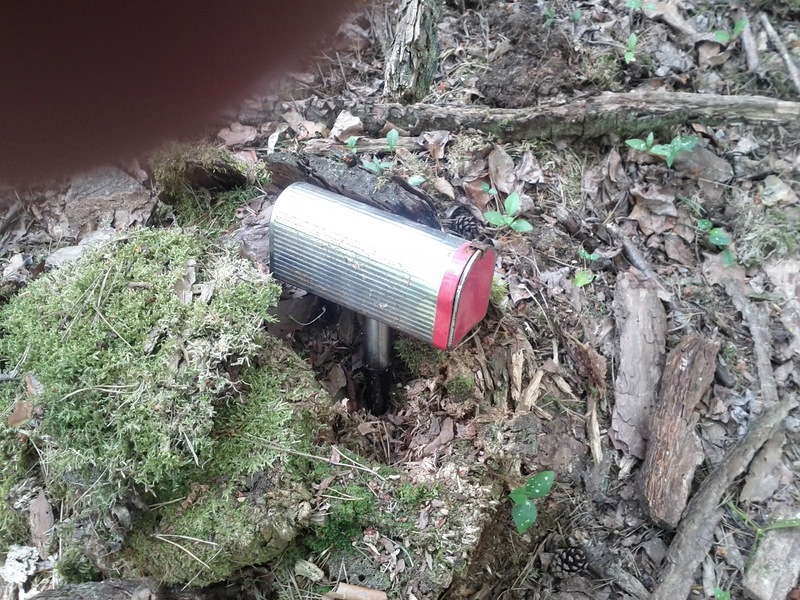 A Harry Potter related geocache. And inside this Mailbox you find hints to reach the next stage. On this little tour, I made 2 of them. This one was only 2 stages until the final. Unfortunately it wasn't around anymore. Forest workers made their work and the final seems to be axed :). However, the owner let log me a found, and I want to see the final as soon as it is restored. It's part of a whole series. Another part of that series, I made earlier that day, and after searching a bit, I got it. I left a travelbug and another great day was settled.